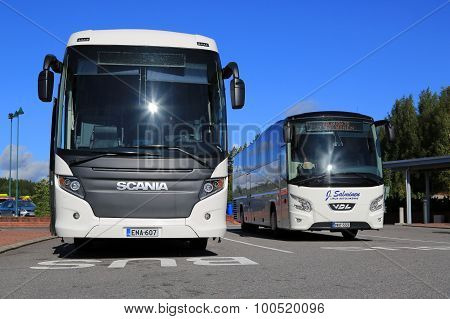 SALO FINLAND - AUGUST 29 2015: White Scania Touring and VDL Futura coach bus on the bus stop in Salo. 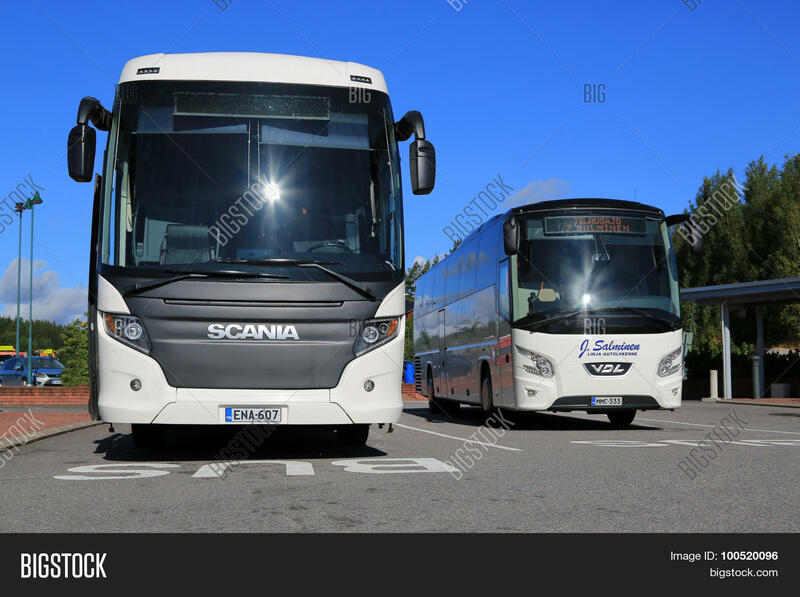 The Scania Touring is a tourist coach with Chinese-build Higer bodywork. Os créditos têm validade de um ano. Salvar uma visualização desta imagem no Google Drive.